A mythic origin story you never expected to see! 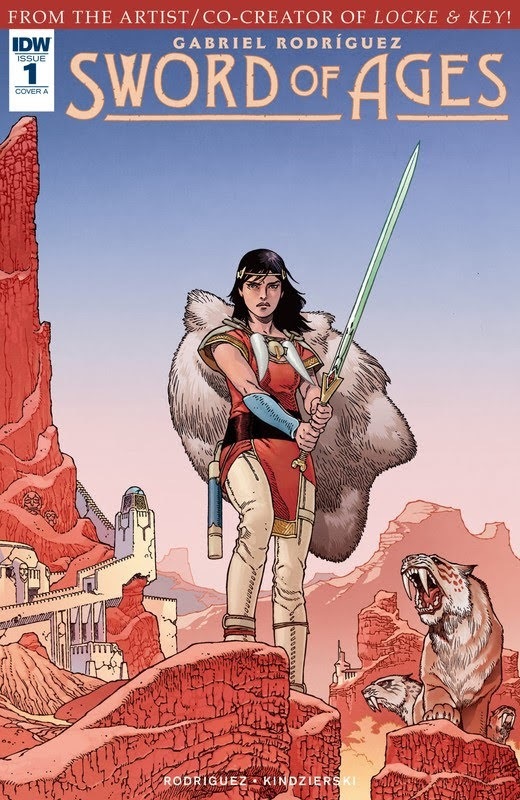 This winter, the Sword will be drawn for the first time ever, courtesy of writer/artist/Locke & Key co-creator Gabriel Rodriguez in a five-issue miniseries adventure of epic proportions! A young woman will become the first wielder of the most famous sacred weapon of all time to champion for her world’s survival, inspiring a legion of heroes to join her struggle against a merciless alien force. The line between science fiction and magic might get fuzzy, but the line between heroes and villains will be drawn in blood. Tagged cbr, comics, english, IDW Publishing. Bookmark the permalink.